Did you know you can listen to your digital music collection right from your smartwatch? Besides being able to place calls and dictate texts, you can rock out to your favorite songs and playlists with the MyMusicCloud app on Samsung’s new Gear 2, Gear 2 Neo, and Gear S smartwatches. So how does it work? If you’re a MyMusicCloud user, you already know you can store all your music for free in our cloud and play up to 250 songs on any laptop or desktop, tablet, and smartphone, regardless of brand. Now, it’s easy to sync our music app to your smartwatch too. STEP 1. Make sure you’ve downloaded the Samsung Gear Manager app onto your smartphone and that it’s synced to your smartwatch. The Gear Manager controls how your watch looks, and which apps you can download to it. STEP 2. Turn on your Bluetooth and open Gear Manager on your phone. Select Samsung Gear Apps and click on the Category tab. Tap “Entertainment.” The MyMusicCloud app is available for free here in Samsung’s Apps store. STEP 4. Open the MyMusicCloud app on your Samsung phone, and just go to “My Apps” on your smartwatch to launch our music app. Now you can choose songs or playlists from your collection to play, rewind, or pause by touching the watch face. (As always, you’ll need to have uploaded your music to our cloud beforehand using a desktop, laptop, or tablet.) You’ll also need a Bluetooth headset to enjoy your jams. Available in a variety of colors, the Samsung Gear 2, Gear 2 Neo and Gear S smartwatches cost $299 with most U.S. carriers, such as AT&T. Although they use the Tizen operating system and not Android, our MyMusicCloud app is also available for Android devices in the Google Play store. Confused or got a Samsung Gear smartwatch question? For the quickest answers, watch the How To videos on here on Samsung’s Support Page. Or, email us at support@mymusiccloud.com, and we’ll do our best to answer it. See how easy it is to sync your music across all your gadgets in our demo video below. Don’t Wait for Apple Watch. Get the Free U2 Album on Your Wrist Now! How cool was Apple’s Tuesday product event? The tech giant blew the roof off by announcing newer and bigger iPhones, introducing the Apple watch, and then bringing out Bono and the boys to give away U2’s latest album, “Songs of Innocence,” free to iPhone and iTunes users. It’s all good news for “iFans.” Except for. Well, it’s just that … Now, you have to camp outside an Apple store, or fight the trolls online, to pre-order your iPhone 6 (starting today), and just pray to the ghost of Steve Jobs that they don’t sell out before they ship on Sept. 19. And those cool Apple watches? They’re not out till 2015. Besides enabling you to place calls and text, the Samsung Gear watches free you to listen to your entire digital music collection anywhere with the MyMusicCloud app. Our free music storage app works on- and off-line, and syncs your music across any smart device – tablet, phone, laptop, Smart TV – regardless of brand (Apple, Android, Blackberry, Windows, etc.). With a Bluetooth headset, you can kick it to Kenny Chesney, or whomever you love, via your Samsung Gear 2 and cell phone. And that free U2 album? You can only hear it in iTunes, right? Nope. Once you’ve downloaded “Songs of Innocence” to iTunes, you can easily add it to your MyMusicCloud library and listen on any smart device. Just launch the MyMusicCloud app and hit the “Import Music” button (it looks like an arrow pointing up). Once you’ve installed our Sync Agent software, it automatically imports it for you. Or you can manually select the album from your iTunes music folder on your hard drive and import it. That way, your music is always together in one place, not scattered around different devices. See how easy it is to listen to your music on all your gadgets in our demo video below. Or you could just stick with only Apple devices, and wait, because waiting is cool too, right? Author Matt RobinsonPosted on September 12, 2014 March 10, 2015 Categories General, Help & How To, New Music & Gadgets, Partnerships and IntegrationsTags Android, apple watch smartwatch, Cloud music, Lyrics, music app, Music Cloud, Music Service, Music Store, Music sync, MyMusicCloud, Product Features, Samsung, smart watch, smart watch app, smartwatchLeave a comment on Don’t Wait for Apple Watch. Get the Free U2 Album on Your Wrist Now! We often talk here on the blog about how MyMusicCloud stores and syncs your music across any device, but what does that look like, really? Well, our product team whipped up this short video to show you exactly how our music storage app works. In this quick 3-minute video, our product manager navigates between his MyMusicCloud accounts on his MacBook, Samsung Gear 2 watch and smartphone, iPad, and Smart TV. He shows how you can play, pause, and restart the same song seamlessly on each device. Cool, right? The video was actually shot for the Samsung Gear App Challenge, a contest to discover the best multi-device app featuring lots of cool cash and prizes. But we thought you’d find it helpful too. Watch below and if you have more questions, simply type “Help” into the search field in the right-hand corner of this blog. Happy listening! Wearable tech just got a lot cooler with the April 2014 launch of the new Samsung Gear 2 and Gear 2 Neo smart watches. These watches aren’t just sleeker and lighter than the original versions, they also come with several sweet new features. Besides enabling you to place calls and text, you can now rock out to your entire digital music collection like a boss. That’s because the watches feature a new MyMusicCloud app, so you can access all your music from our cloud. Jam to Jack White, bliss out to Passenger, spin to Beyonce or whomever you love via your Samsung Gear 2 and a Bluetooth headset. So how does it work? 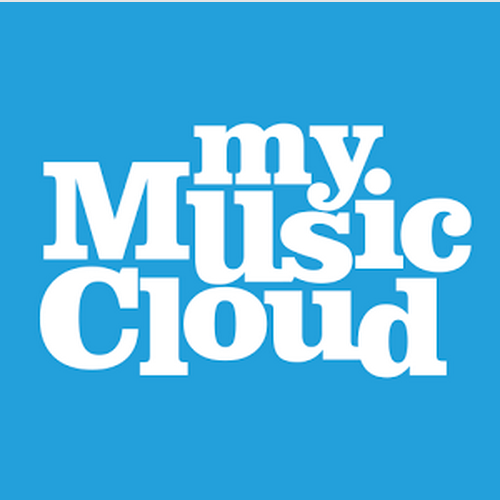 If you’re a MyMusicCloud user, you already know you can store all your music for free in our cloud and play it on any lap or desktop, tablet, and smartphone regardless of brand. Available in charcoal black, gold brown or wild orange, the Samsung Gear 2 and Gear 2 Neo smartwatches use the Tizen operating system (not Android) and cost $299 with most U.S. carriers, such as AT&T; buy one along with the Samsung Galaxy S5 smartphone and you’ll get $50 off the bundle. Got a Samsung Gear 2 or Gear 2 New smartwatch question? Share it with us in the comments below and we’ll do our best to answer it. To learn more about all the cool new features available to MyMusicCloud members, check out this article on Hypebot.com.